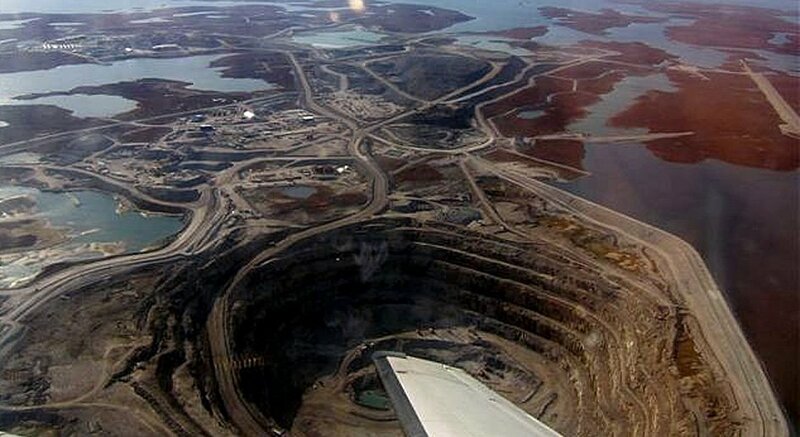 Nahanni Construction has participated in many projects at Diavik Diamond Mine since its construction. The A8995 Pump Station is one example of the diverse work Nahanni has completed on site. 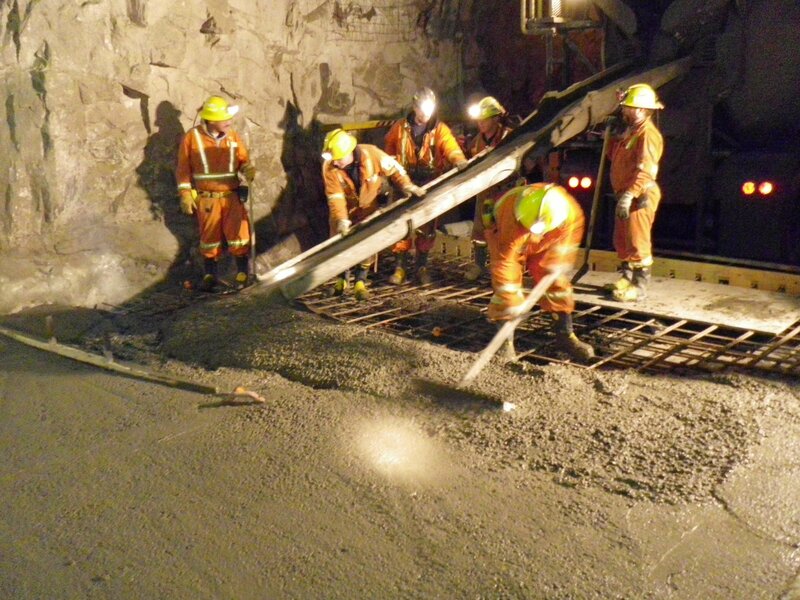 With ongoing mine operations, the need to mobilize equipment, and specialized underground working conditions, Nahanni provided a versatile crew that was able to deliver this project on schedule and with an excellent safety record. 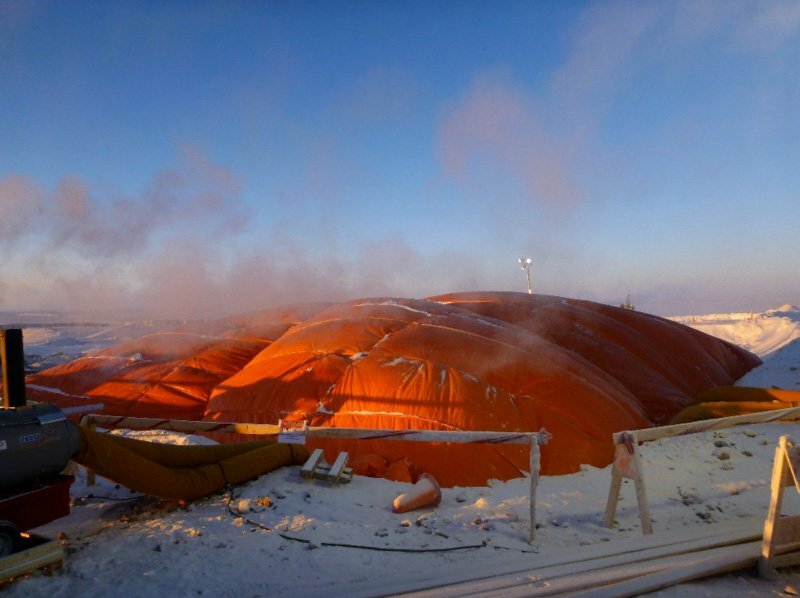 Nahanni Construction worked to construct a megadome about 25 km west of Rankin Inlet, NU. This all-weather, multi-purpose structure is a 60' x 120' steel covered frame covered with a vinyl roof, and insulated so it can be heated during the cold winter months. 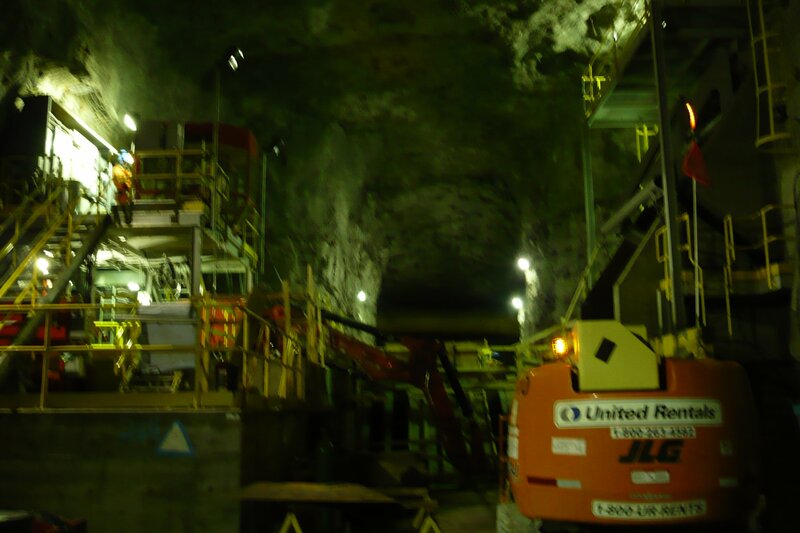 Nahanni Construction installed a Raised Bore Pumping System for the Koala ADIT at the Ekati Diamond Mine site. 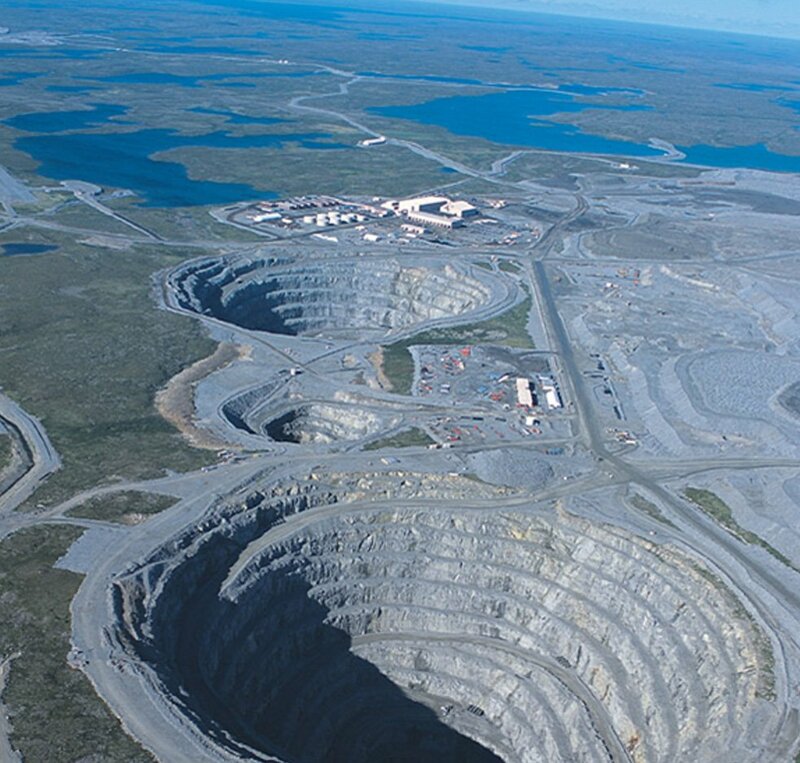 Nahanni Construction has worked on a number of projects at BHP's Ekati Diamond Mine since we first started work on site in 1998. 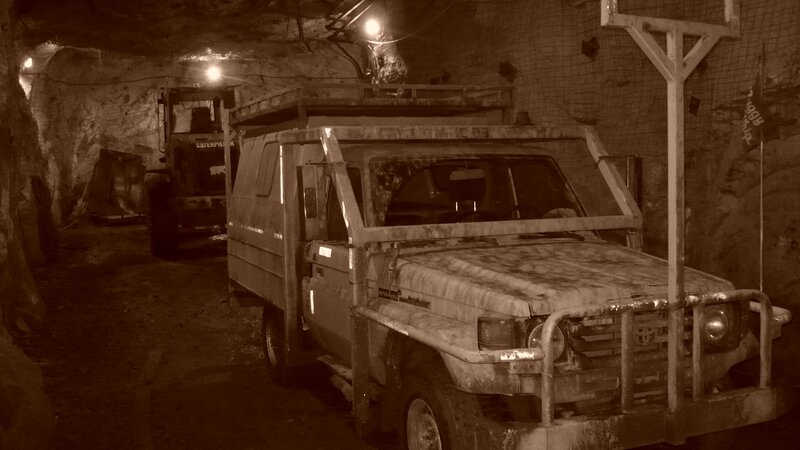 During our time at the mine site, we have had a strong safety record and have built a reputation as a contractor that can work in any environment, at all times of day and night, to get difficult jobs done in a challenging fast paced environment. 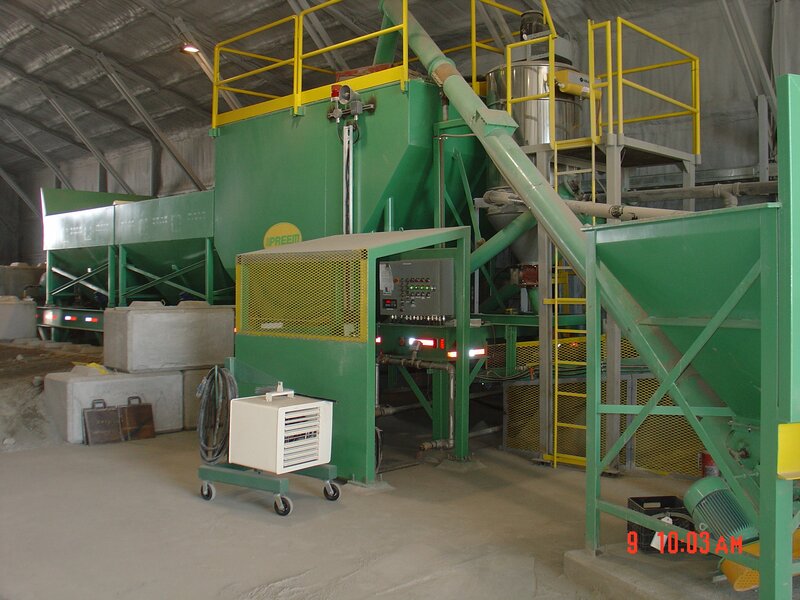 From 1999 - 2010, Nahanni batched and poured concrete on an ADHOC basis at the Ekati Diamond Mine. 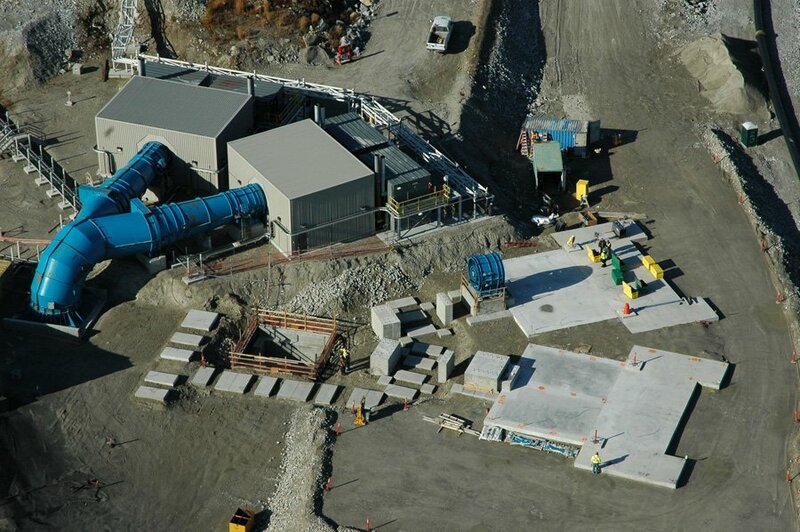 Tendered as four separate bids, Nahanni was awarded contracts for the civil and structural work at Meadowbank, including the installation of the foundations and steel structures required for the installation of the secondary crusher. 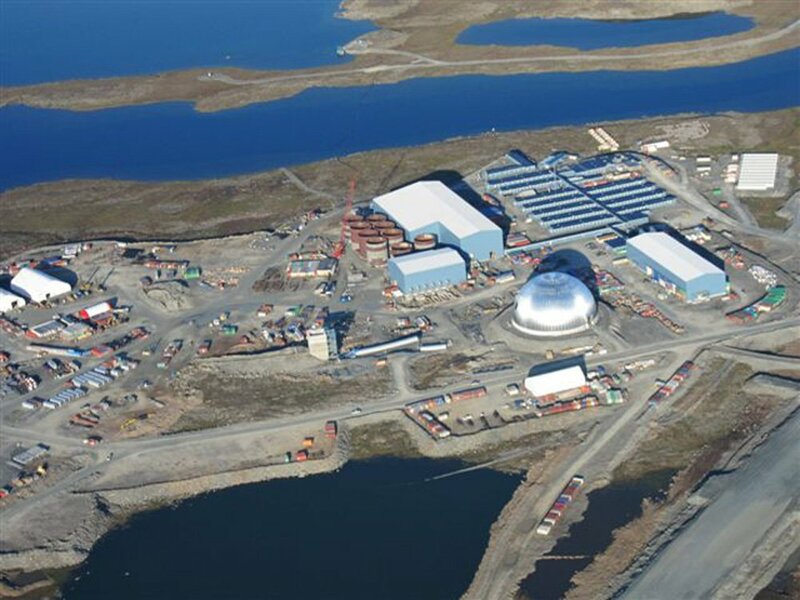 Nahanni Construction Ltd. has been contracted to do the foundation construction for the Gahcho Kué Diamond mine. Nahanni Construction Ltd. has been contracted by Miramar Northern Mining Ltd. (MNML), a wholly owned subsidiary of Newmont Mining Corporation (NMC), to be the general contractor on the construction of a new water treatment plant that will be used to treat surface water entering the collection pond located on the historic Con Mine property. The Det'on Cho Nahanni Construction joint venture was contracted to provide excavation, drilling, concrete and labour on the new bridge to span the Baker Creek at the Giant mine site near Yellowknife NWT. The Det'on Cho Nahanni is a key member of the construction team on this large-scale, forward thinking project that will contribute to the production of sustainable energy at the mine site. 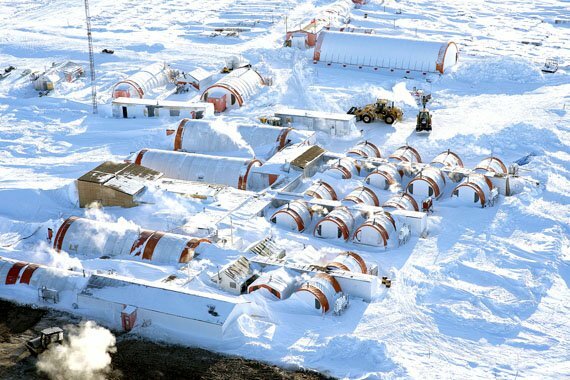 This high-arctic project depended on great logistics management, coordinated modular builds, and a highly coordinated team. 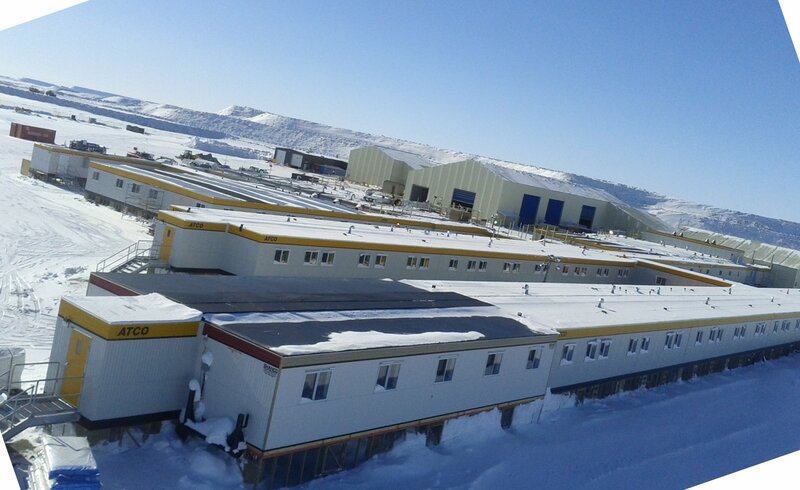 The Det'on Cho Nahanni Construction joint venture worked on a redevelopment of the old Misery Camp at the mine site and required significant coordiantion of logistics due to the reduced level of infrastructure service at the construction site. 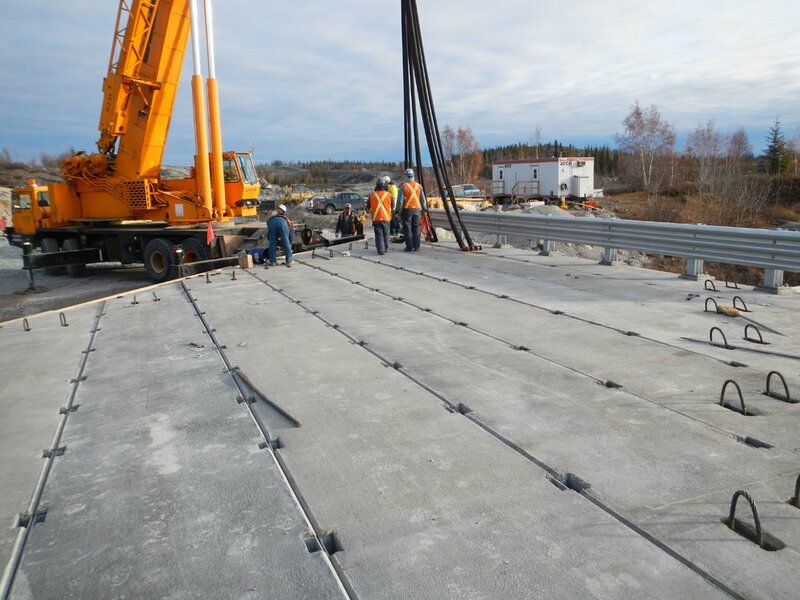 Nahanni supplied and installed almost 35,000 cubic metres of concrete on a project that originally called for approximately 20,000 cubic metres. 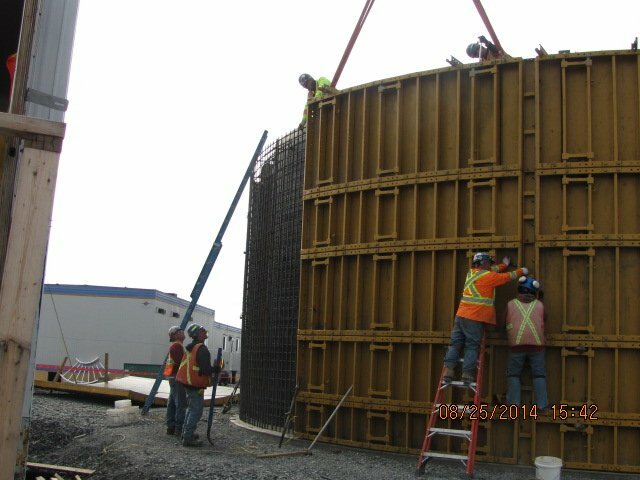 Nahanni Construction installed a number of underground concrete foundations and infrastructure at Diavik Diamond Mine for Lockerbie & Hole, the main contractor at the site. 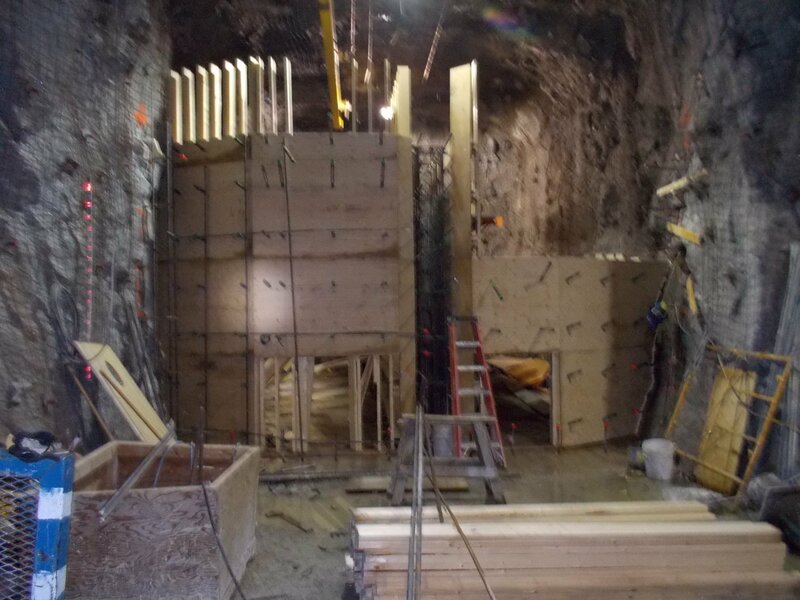 Working in the heart of Nunavut, Nahanni Construction showed its cold weather expertise by doing mine foundation and structural concrete work at the Meadowbanks Gold Mine in Baker Lake.